We are earthy people – created from the dust of the earth and bound to the elements of this world. 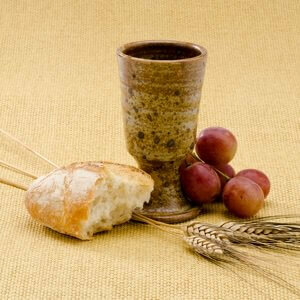 That’s why the symbols of our faith come from the earth – ashes and water and bread and wine. But even as they remind us of our connection to this world, at the same time, the symbols of our faith point us beyond this world. …the Psalmist declared. Ashes are an ancient symbol of our mortality – a reminder of how fragile we humans are. We would be scattered by a breath if the breath of our Creator had not been breathed us into being; if the hand of the Creator had not formed us. And we still are held together by the on-going, mysterious, creative power of the One who is ever creating and re-creating. In the Christian tradition, ashes also mark penitence and sorrow. The ashes for Ash Wednesday often come from last year’s Palm Sunday branches. A year before, we were shouting God’s praises and joyously waving these banners of branches. But how many times during this year did we intend to tell others about the goodness of God and the love of Jesus Christ? And then how many times did those good intentions turn to dust? The Breath of life that gives life – even to lifeless ashes. Out of the waters of chaos, God created life. Over the overwhelming flood, the ark drifted securely and God preserved life. From the waters of baptism, God creates new life. I love my water pitcher that was resurrected from the trash. 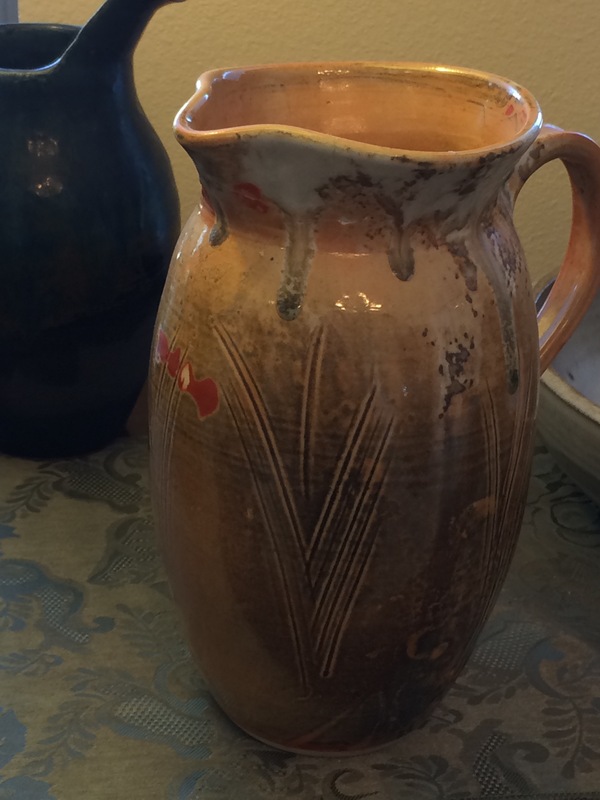 Some years ago my daughter found it discarded behind a potter’s tent at an art fair. It looked perfect lying there, but then she noticed a small piece broken out of the top with a gaping wound marring what had been a perfect piece of art. She brought it home, and we mended it the best we could. I think this cracked pot is lovely. For me – its scar only makes it more special. I wish for my scars to… become a sacrament – an outward visible sign of an inward and invisible grace… A scar comes from both a wounding and a healing. When we remember our baptism, we remember God’s promises of new life; God makes us new creatures. But we also remember that even in the newness, we may still bear the scars of our living. May we let our scars be outward signs of God’s inward grace. Grain scattered on the hillsides is mysteriously transformed into sprouts pushing their way up through the earthy darkness. Tiny sprouts are transformed into amber waves of grain. The grain is gathered and ground into a fine flour and the flour is transformed into bread. Bread: feeding us, sustaining us, giving us great pleasure as we gather together to enjoy fellowship and to break bread. But when Jesus broke the bread on the night he was betrayed, he transformed the bread into a symbol of both life – and death. Grapes clinging to the branches, branches receiving their own life from the life of the vine. The grapes are gathered and crushed until they bleed into a heavy, purple juice – ready for yet another mysterious transformation. With time and patience and care, fermentation changes the crushed grapes into a rich wine. And we clink our glasses and toast each other in joy and celebration. Of course, for us Christians, the cross is the centerpiece of our symbols. The vertical beam reaching to heaven, reminding us to ever reach up to God, the source of our life. Reminding us to spend time with God in worship, prayer and study – expectant that God will reach down to us. The horizontal beam reaching out to each another, reminding us that we humans are all connected to one another; that when one suffers we all suffer; that when one rejoices we all rejoice.